In a world rife with many talented songwriters, Si Kahn stands alone. And his deeply thoughtful, elegantly simple, sometimes majestic, often achingly moving and always hard-hitting songs have stood, and will continue to stand, the test of time. NEWS FLASH! : Singing harmony with Si will be former Alaska State Senator Suzanne Little from the Anchorage-based band Bootleg Brown. AWARDS: At its annual conference in 2011, the Folk Alliance gave Si a special Triple Crown award, recognizing him as the #1 Artist for the previous year, with more airplay on the international Folk DJ chart than Bob Dylan or Pete Seeger; and for having had both the #1 CD (his 16th CD Courage) and the #1 Song for that year ("Peace Will Rise"). Courage features production and instrumentation by legendary banjo player Jens Krüger of the Krüger Brothers, with liner notes and harmony singing by Grammy-winning country artist Kathy Mattea. PERFORMANCES:Si has performed at concerts and festivals in Portugal, the Netherlands, Belgium, Germany, Ireland, Scotland, Wales, England, Northern Ireland, Canada and the U.S. 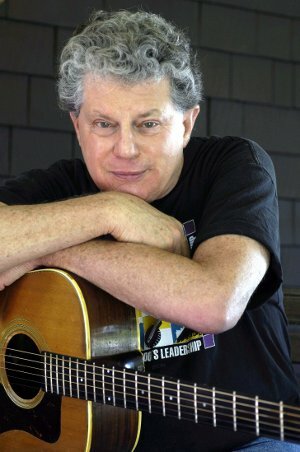 He has toured, shared festival stages and recorded with such artists as Pete Seeger, Kathy Mattea, John McCutcheon, Sweet Honey in the Rock, Ani DiFranco, the Krüger Brothers, Laurie Lewis, Pete Wernick, Charles Sawtelle, and Utah Philips. RECORDINGS: Si's musical body of work includes 15 albums of original songs for adults and children, plus a collection of traditional labor and civil rights songs recorded with Pete Seeger and Jane Sapp. One of Si's best musical experiences was when publisher Harper-Collins had him set to music and record the classic children's books Runaway Bunny and Goodnight Moon. MEDIA: Si is a frequent guest on radio stations throughout North America. He's appeared on Mountain Stage, E-Town, Prairie Home Companion and the late Studs Terkel's nationally syndicated interview show. Reviews of Si's CDs, musicals and books, as well as personal profiles, have appeared in the music publications Rolling Stone, Variety, Performing Songwriter, Sing Out!, Old Time Music Herald, Penguin Eggs, Bluegrass Unlimited and Bluegrass News, as well as in the New York Times, USA Today, The Progressive, The Nation, the Washington Post, the Village Voice, the Chicago Tribune, and the Charlotte Observer.